I keep get asking by people What can I do ? What are my options ? All I can say is drop me a mail and I can help , we specialize in helping individuals in regards to taking control of their pensions and making it work for you . A great article below . Millions face retirement poverty as pension payouts are slashed. In the last four years the price of an annuity – the retirement income bought with pension savings – has soared by 29 per cent. Official figures show the impact on people about to retire. In 2009 a £5,000 annual income would have cost a man £118,000 and a woman £133,500. Today, based on unisex rates, it would be £152,800. Many people will not even be able to afford that. The typical private pension savings pot for households where the head is aged 50 to 64 is £135,200 – which will buy just £4,421 a year. 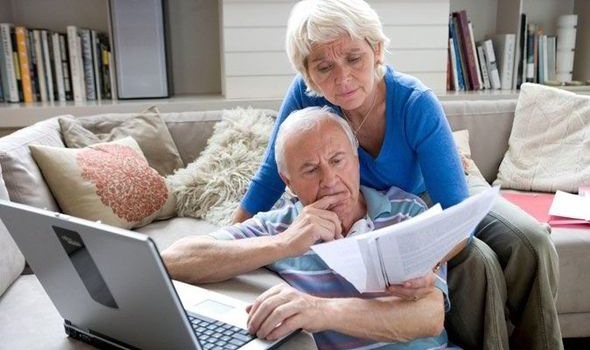 Pensions expert Joanne Segars said: “Annuity rates have taken a hammering and there is a big ­difference between the pension you could have got and what you would get now. “Offers that were on the table a few years ago have evaporated. The poor rates are largely because of rising ­longevity, new EU rules, and the weak economy.” Ms Segars, chief executive at the National Association of Pension Funds (NAPF), also warned: “Retirees should think about the type of annuity they want, and whether they have health issues that would get them a better rate. Pension expert and former Government adviser Ros ­Altmann blamed the Bank of England’s quantitative ­easing policy for the dramatic drop in annuity rates. “This has meant people’s pensions have been devalued. They are struggling to afford a decent pension even after years of saving,” she said. Figures from the Office for National Statistics Pension Trends report, also show the growing wealth gap between those with gold-plated final salary defined benefit pensions and the rest of the population. Annuity rates have taken a hammering and there is a big ­difference between the pension you could have got and what you would get now. The average value of a final salary scheme is £178,000 – six times more than the £29,000 for standard schemes. Of private pension savers only 48 per cent of households now have guaranteed pension rights, while 51 per cent have defined contribution pensions – where the saver bears the risk of investments going down. As companies close down the expensive final salary schemes, savers in defined contribution plans are set to rise from 6.6 million today to 16 million by 2020. Tom McPhail, pensions expert at Hargreaves Lansdown, said that many people’s expectations of their retirement incomes were likely to be over-optimistic. “There is a risk that because people haven’t saved enough they will look to maximise their income today, at the expense of inflation proofing and death benefits for their spouse tomorrow,” he said. However the Department for Work and Pensions yesterday announced help for millions with plans to cut the number of “dormant” pensions forgotten by workers who have left a scheme when they start a new job. The new “pot follows member” system will mean that any payouts accrued of less than £10,000 will automatically move with them. Estimates show that the average person has 11 jobs during their working life. By 2050 there will be around 50 million dormant pension pots. Article and pics from Express .